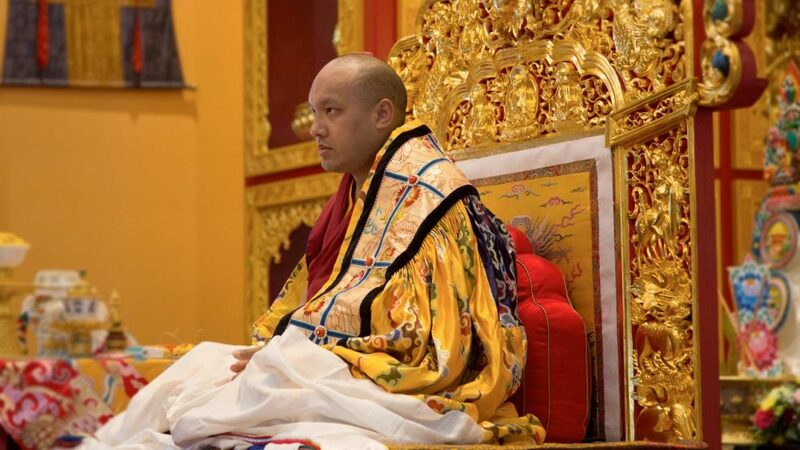 The final stop on his Canada tour took the 17th Gyalwang Karmapa, Ogyen Trinley Dorje to Vancouver-Richmond to the country’s first traditional Tibetan monastery. 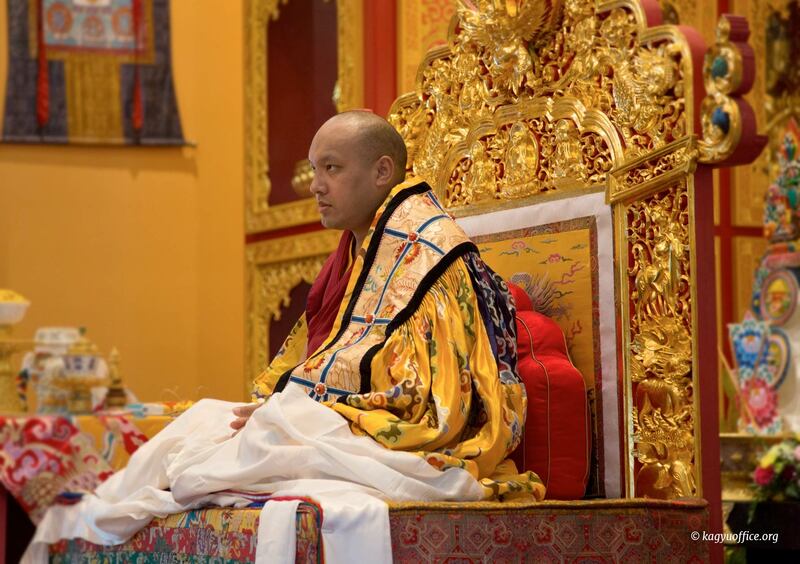 On the 17th of June at 5pm, the Gyalwang Karmapa arrived in Vancouver-Richmond, British Columbia, at Thrangu Monastery. The sounds of the gyalings (trumpets) filled the air as His Holiness stepped onto the red carpet decorated with the auspicious symbols. With the Very Venerable Khenchen Thrangu Rinpoche and Dungse Lama Pema at his side, His Holiness made his way into the shrine room, walking slowly, making eye contact left and right with those that lined the walkway to welcome him. Canadian monastics from Kagyu centers across the country, representatives from Tibetan Associations from British Columbia, Seattle and Portland, as well as main sponsors of the Thrangu monastery Eva Lau and Margaret Lee, along with local government officials and many devoted students were on hand on this auspicious occasion – His Holiness’ first visit to Canada. “We would like to extend the warmest welcome to His Holiness, not only to this monastery but to Vancouver and Canada for the very first time,” said Chao. 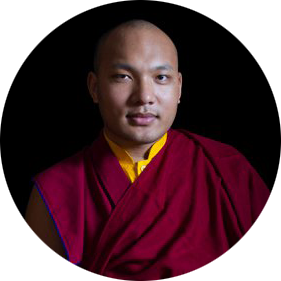 Lama Pema spoke of the profound connection between Thrangu Tulkus and the Karmapas. Numerous Thrangu Tulkus – the 1st, 2nd, 4th, 5th, 7th were all recognized by Karmapas. As well, the current Thrangu Rinpoche – the 9th incarnation — was recognized by the 16th Karmapa, Rangjung Rigpe Dorje. “The various incarnations of the Karmapas have been the masters of the Thrangu Tulkus and have regarded them with great affection bestowing upon them all the pith instructions,” said Lama Pema. “On behalf of all the lamas and the students of this monastery, I would like to thank from the bottom of my heart His Holiness for heeding our request and showing the great kindness of coming to this monastery. I pray that your His Holiness can return to this monastery and all the Karma Kagyu dharma centres in Canada many times and share the peaceful and cool nectar of the dharma ripening and liberating all sentient beings,” said Lama Pema. His Holiness gave a brief speech in which he touched on the location the of the Thrangu monastery – on a street known locally as “the Highway to Heaven,” given its numerous temples and churches. Local government officials attending the event included Terry Beech, Member of Parliament for Burnaby North-Seymour, Jas Johal, MLA for Richmond-Queensborough, Linda Reid, MLA for Richmond East and John Yap, MLA for Richmond-Steveston.